A note on Red Morrel. Red Morrel is one of my favorite woods and is very rare. We have been asking for quantities of this burl for 2+ years and have not been able to get more than one or two caps in each shipment. We have finally gotten some quantity, and hope you will find the same beauty in Red Morrel as we do. Comparing Red Morrel to Red Mallee, the Red Morrel is a deeper, darker red than Red Mallee. 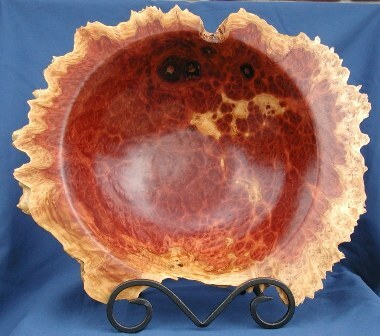 Red Morrel also exhibits depth in the burl, as well as quilting. This is some spectacular stuff!